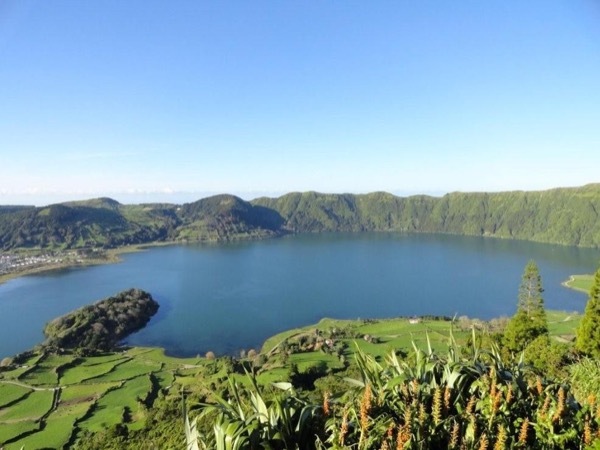 Traveler Reviews for Private Tour in Ponta Delgada, Azores, Portugal by Tour Guide Rui M.
About Rui M. Message Rui M.
Rui is an excellent guide, full of local knowledge & infomation. He's personable with an engaging manner and speaks excellent English. During the trip to Sete Cidades, Rui pointed out various secondary sights and told us some of the history of the Azores. The outlook offered a fantastic view of the blue-green lake. Next was a side trip to Sete Cidades to see the church and visit a cafe. Finally we went to a pineapple greenhouse plantation. A first class tour by a first class guide. Carlos did the tour for Rui. He did an outstanding job. The weather started out rainy, but he maneuvered around and took us to amazing spots to see the twin lakes, the countryside, and the historic areas. He should be given a full time status with Rui. Carlos was very European, gentlemanly and polite. He was very punctual in geting us back to the ship in a timely manner. Also, he was waiting outside the ship for us with a sign in the morning. This tour was well worth it; the ship tour buses lagged. TOURSBYLOCALS RESPONSE: We're glad you enjoyed your tour with Rui's associate Carlos. The substitution was agreed to in advance. TOURSBYLOCALS RESPONSE: Carlos is Rui's colleague - the substitution was agreed to in advance.